We are now in the 12th year of our journey with the Sutardja Center for Entrepreneurship & Technology. 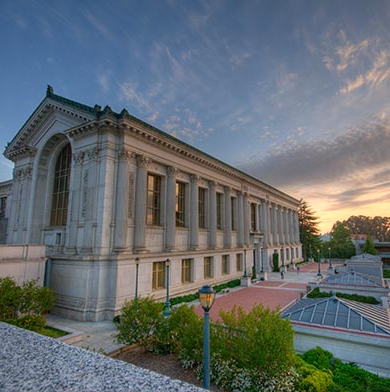 Overall, it has been a prolific experience at Berkeley as we have taught over 5,000 students, developed over 100 new ventures, worked with 500 Silicon Valley executives, and collaborated with ten partner universities from around the globe. OUR STUDENTS CHANGE THE WORLD: Our students actually change the world. They start new firms and develop new innovations as leaders within the world’s most cutting-edge companies. Our students create printable batteries, new airplane wings, and lead world-changing projects at Apple, Google, Yahoo, Samsung and other prominent companies. OUR PROJECTS ENABLE NEW INDUSTRY: Our emerging industry area labs and projects change the world directly. Whether it is a highly applied, holistic view of data science, the future of the internet, policy for autonomous driving, or how plant-based meat will develop as a major new industry sector, there is no other place in the world where you can learn and impact the creation of new industries. A key educational training is the area of mindsets and behaviors. This area is not obvious. When we began, we believed that it was valuable to start with technical students and simply add an understanding of business knowledge to their curriculum. Since then, we have corrected that belief. We no longer believe business training is the key additive ingredient. Mechanical business skills can be acquired anytime and as needed. The actual missing ingredient is a set of behaviors and mindsets that allow a person to utilize their core capabilities. When we look at our curriculum, we have seen the pattern that all the courses have either a technically oriented project or they themselves have a significant technical component. We typically have not been interested in re-creating offerings that would normally be in business schools. A key point here is that you do not need to water down the technical component in order to teach broad skills. Take our Applied Data Science with Venture Applications class. It is a true technical class that requires Python and statistics as a prerequisite. The contents cover math theory and computer science tools, yet at the same time, it includes a project which is developed from an insightful story and uses agile methods. It also includes real-life perspective from mentors who are executives at notable companies and start-up CEOs. My topic 3 of 3 in the recipe is what we have been doing with project selection. We simply do not choose projects randomly. Our projects are always selected because they have the potential to change an entire industry. Whether that is related to Chatbots, AI, self-driving policies, Internet 3 with Privacy, Blockchain 2, or meat alternatives, in each case the project is the beginning of enabling an industry for greater potential and/or social good. Let us take the plant-based meat as one of our applied research pillars. How did we get this topic? This topic filtered into our Watchlist from an industry landscape report from the Engineering leadership program and then published in Applied Innovation Review (AIR). The report explained that eating meat had as large an effect on carbon emissions as driving cars or heating homes. If you look at electric vehicles, the change in adoption was largely driven by a “green factor” versus cost. Since this report, we have seen hundreds of millions of dollars of investment from Khosla Ventures and others in plant-based meat. This validation indicates that plant-based meat is an emerging industry area under development. So, it made sense for us to select it as an ongoing applied research lab and theme. The same is true for all the other project areas. They each have the potential to not only start one company or one product but instead to create families of innovations and a multitude of new ventures. Our center operates as an Innovation Collider when we put all these ingredients together. Our courses are the primary platform for bringing these components together (technical depth, mindset/behavior, and emerging areas). We add to that a philosophy and practice of mixing the most relevant people who would otherwise not meet. From undergraduate, to executive, to entrepreneurs, to venture capitalists; we allow these groups to “collide” and create the connections and teams that bind these ingredients together in ways that change the world. Finally, why do we take the time to spell out the recipe? The reason is that we work with so many partners, students, board members, and general collaborators both on campus and globally. To help everyone in our community work effectively, it is important that we communicate our own directions, principals, and decision models. If new projects do not support the goal of changing education, empowering our students, and/or directly impacting high potential industry and societal changes, then we are not likely to focus on them. We are continuing to develop, learn, research, and quantify the methods to develop mindset and behavior in every type of student that we have at the center from undergraduates, researchers, executives, to global professors. Of course, these topics can and should be adopted beyond our courses to complement courses in other parts of the campus and globe. We will continue to develop new applied research in themes using our strategic lens. This year, we intend to select two new emerging industry lab themes. While change is a constant state for any innovative organization, we hope to continue to build on the approaches that have worked thus far.